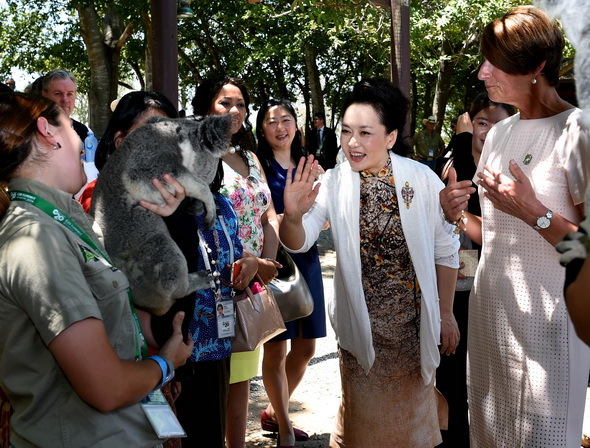 with spouses of other G20 leaders in Brisbane, Australia, on November 15, 2014. 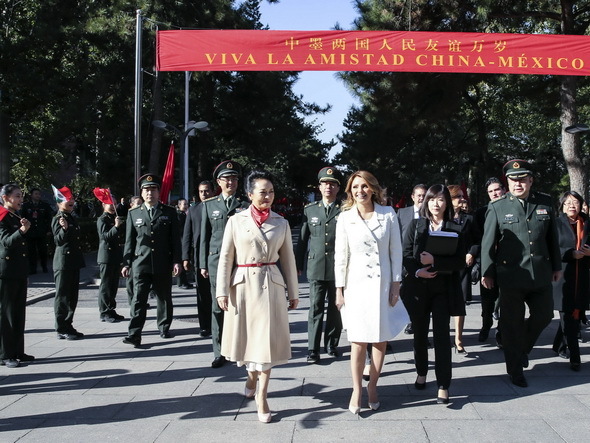 Chinese President Xi Jinping’s wife Peng Liyuan invited Angelica Rivera, wife of Mexican President Enrique Pena Nieto, to visit the Academy of Arts of the Chinese People’s Liberation Army (PLA) in Beijing on Thursday of November 13. They were greatly impressed by the exhibition of paintings, dance performances and drama presented by teachers and students. 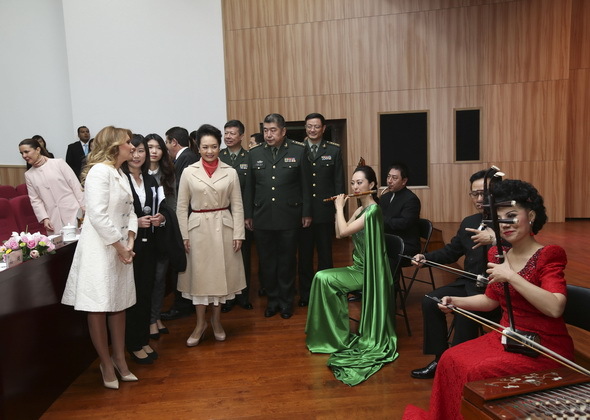 Peng said China hopes to enhance art exchanges with Mexico, and strengthen understanding and friendship between people of the two countries. 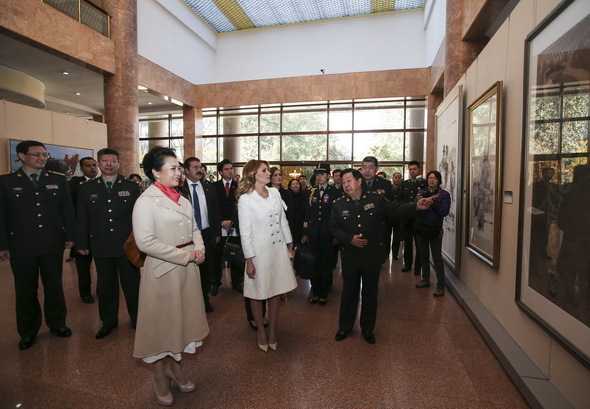 Rivera vowed to push for closer art exchanges between both countries. 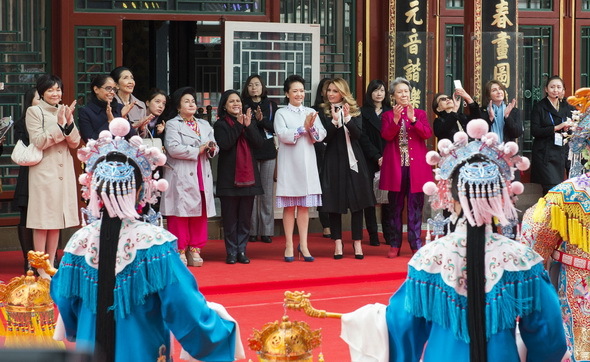 Rivera was in China to accompany her husband, who attended the 22nd Asia-Pacific Economic Cooperation (APEC) Economic Leaders’ Meeting and paid a state visit to China. 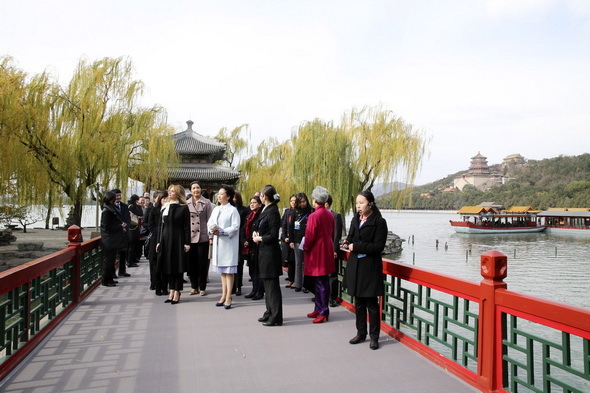 economies during a visit to the Summer Palace in Beijing on November 11, 2014. 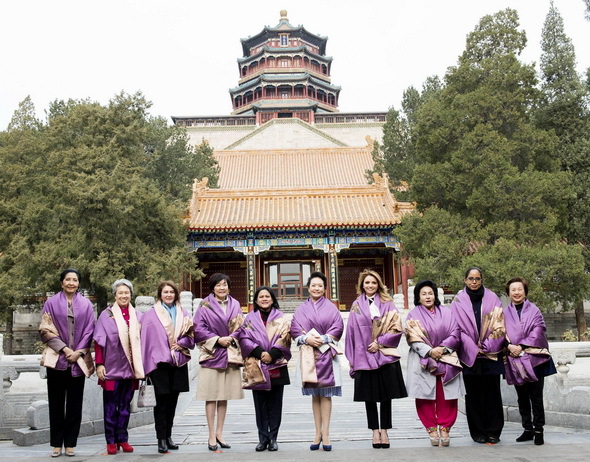 Peng Liyuan, wife of Chinese President Xi Jinping, invited wives of APEC economies’ leaders to a tour to the Summer Palace on Tuesday of November 11. 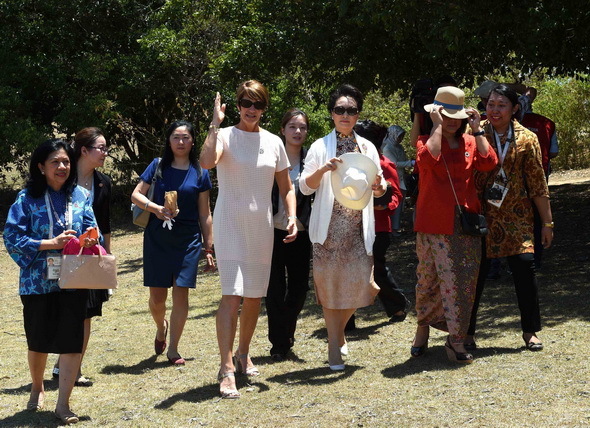 Peng’s guests were in Beijing with their husbands who were attending the 22nd Asia-Pacific Economic Cooperation (APEC) Economic Leaders’ Meeting. 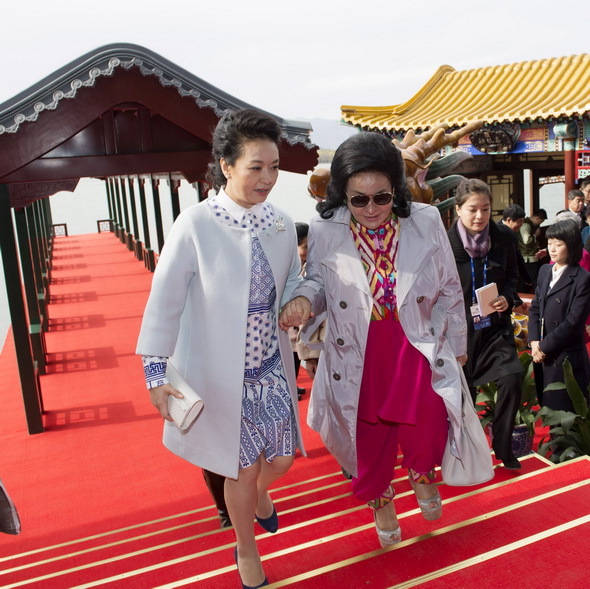 They took a boat tour in the Kunming Lake in the former imperial resort and now a World Heritage listed by the United Nations Educational, Scientific and Cultural Organization (UNESCO). 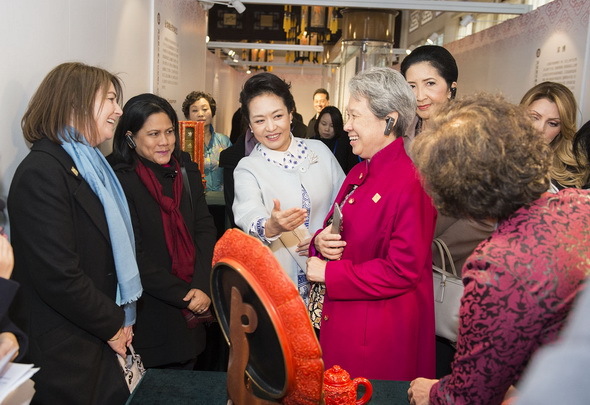 They also watched dancing and Peking Opera performances and visited a folk art exhibition. 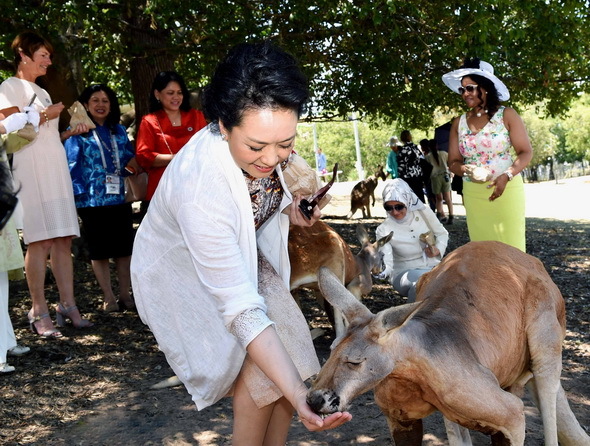 The guests included wives of Indonesian President Joko Widodo, Mexican President Enrique Pena Nieto, Japanese Prime Minister Shinzo Abe, Malaysian Prime Minister Najib Razak, New Zealand Prime Minister John Key ,Papua New Guinea Prime Minister Peter O’Neill, Singaporean Prime Minister Lee Hsien Loong, Thai Prime Minister Prayut Chan-o-cha and senior Taiwan politician Vincent Siew, representative of the region at the APEC meeting. lacquer-line carving in the Summer Palace in Beijing on November 11, 2014. 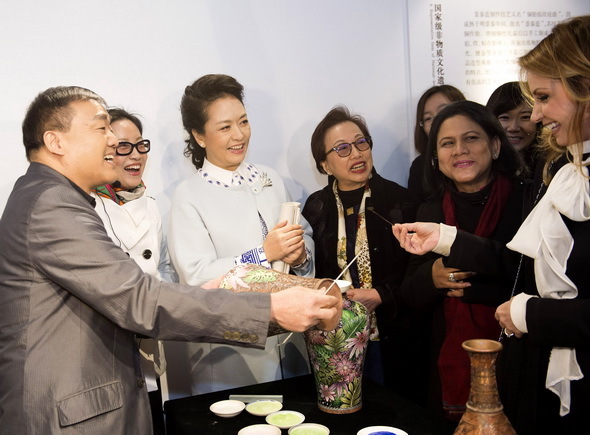 Exhibition in Zhuhai, south China’s Guangdong Province, on November 9, 2014. China will open its biennial air show featuring new aircraft, trade talks and technological exchanges on November 11 in the southern port city of Zhuhai, Guangdong Province. 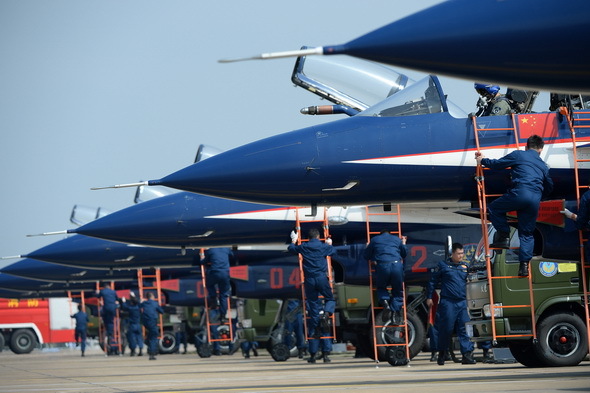 New weaponry will be demonstrated at the 10th China International Aviation and Aerospace Exhibition, known as Airshow China, said spokesman of China Air Force Shen Jinke on Tuesday of September 16. Some of the aircraft on display joined in a multinational anti-terror drill, dubbed “Peace Mission 2014,” held in north China among the regional security group Shanghai Cooperation Organization in late August. Stunt flying will be performed by five female fighter pilots from the China Air Force with J-10 fighters, along with aerobatics teams from the Republic of Korea and the United Arab Emirates, Shen said. An international conference on military aviation training exchanges is scheduled for the event by the Air Force and the Aviation Industry Corporation of China. Airshow China is the only international aerospace trade show endorsed by the Chinese central government. Since 1996, the show has been held in Zhuhai every two years. 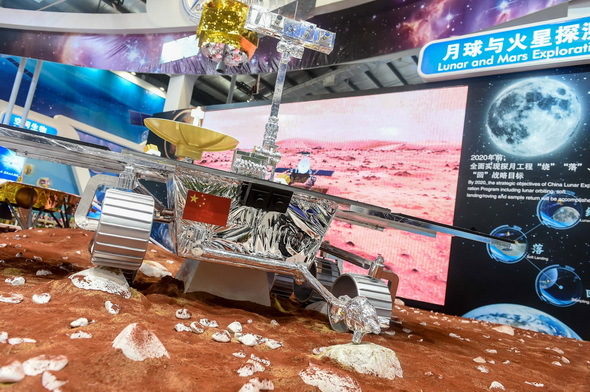 China Aerospace Science and Technology Corp. announced Thursday that it would put a selection of the latest space achievements, including the Mars probe, on display at an upcoming air show. The biennial air show is to be held in the southern port city of Zhuhai, Guangdong province from November 11 to November 16. 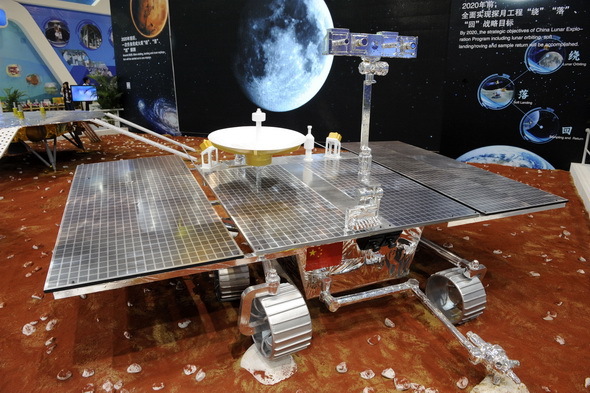 Exhibits will include a cargo spacecraft, the “Long March 7” carrier rocket and a high-definition Earth observation satellite. The airshow will feature new aircraft, trade talks and technological exchanges. It is the only international aerospace trade show endorsed by the central government. Sukhoi SU-35, currently the most advanced fighter jet in service in Russia, has arrived in south China’s Guangdong Province on Wednesday of November 5 for a biennial airshow. The aircraft arrived at 2 p.m., accompanied by an IL-76 transport aircraft. Sukhoi SU-35 will give a demonstration flight on Tuesday of November 11. The 10th China International Aviation and Aerospace Exhibition will kick off in the southern port city of Zhuhai, Guangdong Province next Tuesday. The only international aerospace trade show endorsed by the Chinese central government, this year’s Zhuhai airshow will last for six days, attracting nearly 700 exhibitors from 41 countries with a record 120-plus planes. About 45 percent of the exhibitors are from outside China. New weaponry will also be demonstrated at the airshow. A Xinhua reporter has already seen China’s Y-20 military transport aircraft and J-31 stealth fighter at the venue. This is the first time both aircraft will be shown in public. 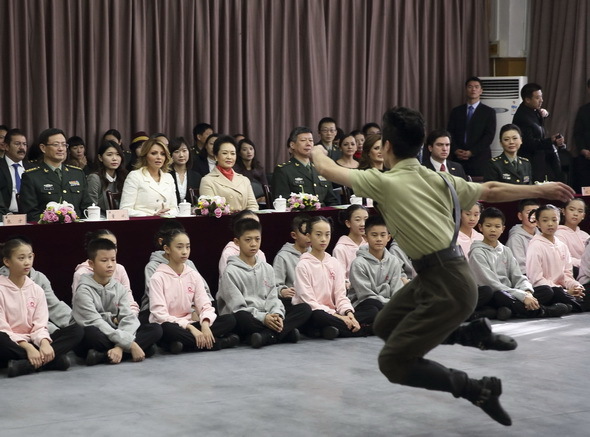 The People’s Liberation Army Air Force will celebrate its 65th anniversary on Tuesday. The first group of female fighter jet pilots will perform stunt flights with J-10 fighters at the airshow. 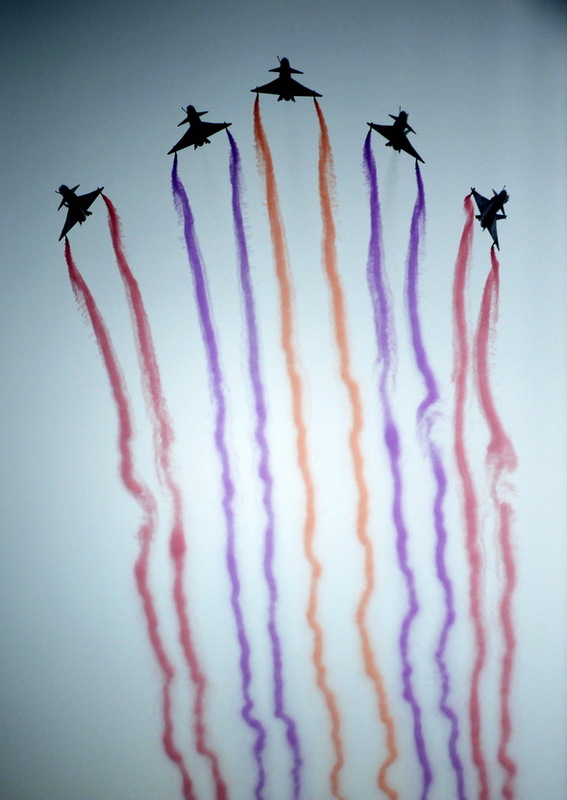 There will be no aerobatic T-50 jets performing at the upcoming biennial air show held in south China’s Guangdong Province, an organizer confirmed on Wednesday of November 5. 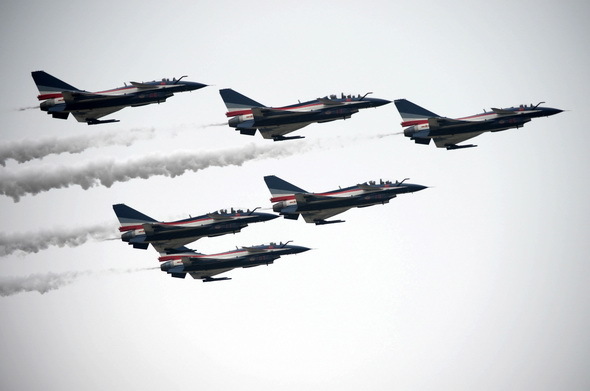 Zhou Zuode, general manager of the Zhuhai Airshow Company and one of the organizers, said at a press conference that, except for a verbal notice, they still have not received any formal cancellation notice from the Black Eagles Aerobatic Team of the Republic of Korea (ROK), according to a report from China News Service (CNS). Zhou said he felt “very regretful” about the sudden cancellation, adding that similar situations in the past were mostly due to weather, deployment of aircraft and pilot health. 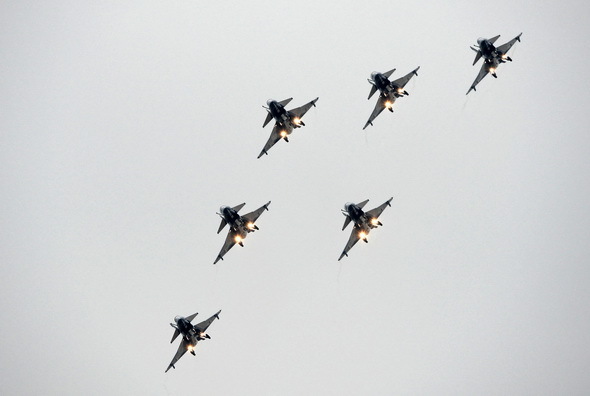 A Tuesday report from China Military Online said the ROK military had planned to participate in the air show in June. The aerobatic team of the ROK Air Force even assigned a C130 Hercules transport plane to the Baiyun Airport in Guangzhou in preparation for the show. The last-minute cancellation by the Black Eagles Aerobatic Team leaves only three teams for the exhibition this year. The planned performance would have been the team’s first show in China. The CNS report said the team flies T-50 supersonic jets, jointly produced by U.S. defense giant Lockheed Martin and Korea Aerospace Industries.